Those who follow the qcdev list will already have heard of this, but for those of you haven't , do check this out. It's a super-cool plugin. I'm contemplating adopting it (into unofficial-api, of course, for better image/structure support, among some other magics ;) sometime in the near future. here is a little remix. 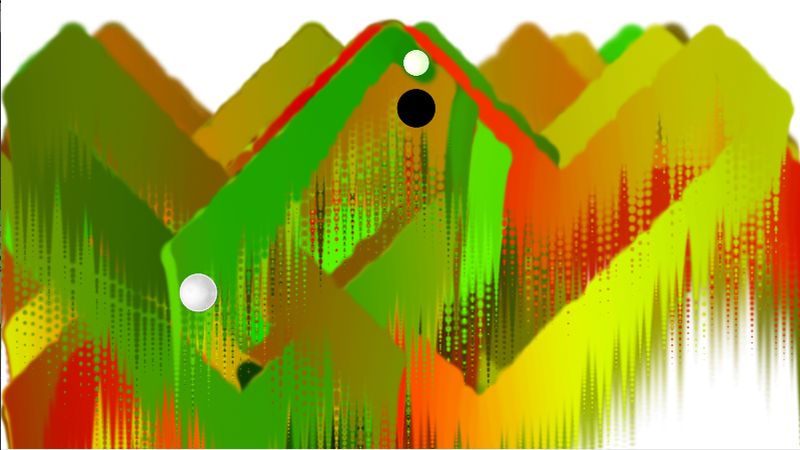 just tried to use the game engine for more visual things. enjoy. shed loads of kineme users who know nought of the tremendously useful qcdev list, I shouldn't wonder. I'll hazard a guess , practically all who post / respond here and have never posted on qcdev ? You've just gotta love it. The qcdev lists archives can searched from here QC DEV ARCHIVES. I find it best to tab each link to follow from the archives, so I can kind of concatenate the thread before me in toto. I'm on the Apple Quartz Composer Dev list. Discovered it before I found Kineme, in fact, and quite a few Kineme regulars are also registered there, as cwright points out. Same here... developer list member before coming here. Reading through the entire history of the archive is one of the best ways to learn about QC. It's a shame that the things that were attachments don't work (I don't think?). I bet there are many people that just kind of chill, and sit back and gather in the progress and use that info to inform whatever they are doing. The LUA plugin is seemingly very cool. It's daunting to learn a different language, but looking at the web page it is EXTREMELY simple, so that had me going "wow". Ultra simple I thought, so I can see why it has proved popular. I'm really curious to see the extent of how it works, and under what circumstances it doesn't. It's a shame that the things that were attachments don't work (I don't think?). Download attachments in Safari as a name of file or else as it comes ysgfauysg.bin, then rename the file as whatever.qtz, or else trim down the resulting named download with extension , say whatever.qtz.bin to whatever.qtz. The QC Mailing List is also archived here --- http://www.mail-archive.com/quartzcomposer-dev@lists.apple.com/ --- which preserves the attachment names properly (no renaming necessary). ... but- are you indicating that those bin (if I remember correctly) files from the Apple site can just be renamed? Now I feel mega slow on the uptake. They are correct, George. Just rename it and give it a .qtz file name extension. You'll then be prompted to either keep .bin or to indeed change to .qtz. Choose .qtz. I didn't know it either until I was told last year. So what if it was a zip or other file!? Dunno. I'll defer to others more knowledgeable. Just keep the normal extension (be it .zip, .doc, .qtz, .m, .holycrapfileextensionsaretheworst, whatever). I'm curious if anyone ever did anything cool with it. I've been looking at LUA recently, to see what kind of things this would be handy for. Currently trying to learn enough LUA around loops and arrays to speed test structure parsing against JS and Queue patch. Obviously Queue beats the @#$% out of JS for straight capture but can't do any mods. Gives a good control though for JS v LUA. I rewrote and find it to be even-stevens on my old dual G5. May be different for your gear. Sprite which always faces viewer?